I was looking through the create it yourself section in Joann's and came across sun visors for $1. I was pretty excited to find a pink one, so I picked one up as well as a few other things for future projects. Then, because I tend to put projects for myself on the back burner, my poor little visor sat there until I finally did something with it two months later. I spent $3 total on my pink ruffled visor and it took me about 30 minutes to make, now I can't wait to wear it! 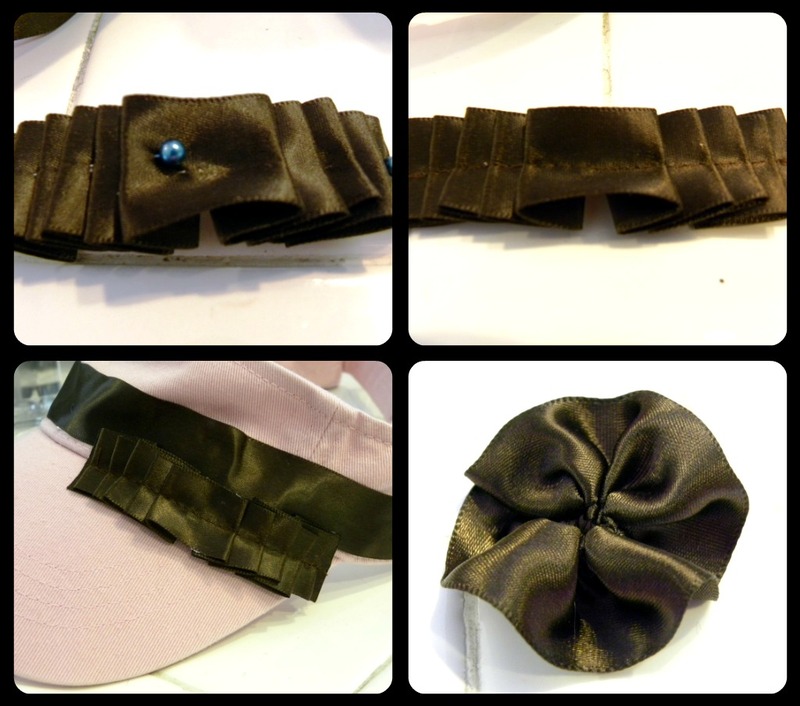 I like the combination of pink and brown together so I picked up some brown satin ribbon to use on my visor. I started by adding my trim piece. I cut one end, ran a lighter over the end to keep it from unravelling and started gluing it down. I worked my way around to the other side, cut it off and melted that end too. I used a washable fabric glue to hold everything in place, it seemed to help the ribbon conform to the shape of the visor. Next I made my ruffle and flower. I just hand folded the ribbon into ruffles, held them in place with a few pins, then ran it through my sewing machine straight down the middle. My flower is just a simple gathered piece of ribbon that I tacked in place with a spot of the fabric glue. I glued the ruffle down first and when I felt it was secure, I added the flower to top it off. Once it was dry it was ready to wear. I am a terrible model but here is a shot of what it looks like on, I love the girliness of it. 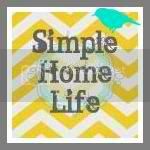 What a quick, cute project! Love it.